Here's some swim-spiration for your holiday wardrobe. If you had the foresight to book a holiday to somewhere hot this side of Christmas we bet you’re feeling pretty smug right about now. And why shouldn’t you? We are well and truly in the grip of winter, when the mere thought of going outside is enough to make you want to cry and no amount of coats, scarves and hats can keep the chill out. But you, you’re facing the prospect of balmy temperatures and days spent in little dresses and denim cut-offs, you lucky thing. Plus, the most important part of any vacay wardrobe – swimwear. Going to Bali next week for my first time! What are some recommendations on what to do? Now that floating on an inflatable doughnut or posing cocktail in hand on a sun lounger have become essential Instagram pics for every holidaymaker, you’ve got to make sure your poolside attire is up to scratch. What’s trending now? Honestly, it’s all about bikinis, but thankfully they’re not all itsy bitsy teeny weeny – high-waisted bottoms and supportive tops are flattering on every body type. The latest swimwear collections haven’t escaped fashion’s animal print obsession – there’s leopard and snake print galore. If you’re after something a bit brighter take your pick from hothouse florals or the neon hues popularised by the Kardashian clan. 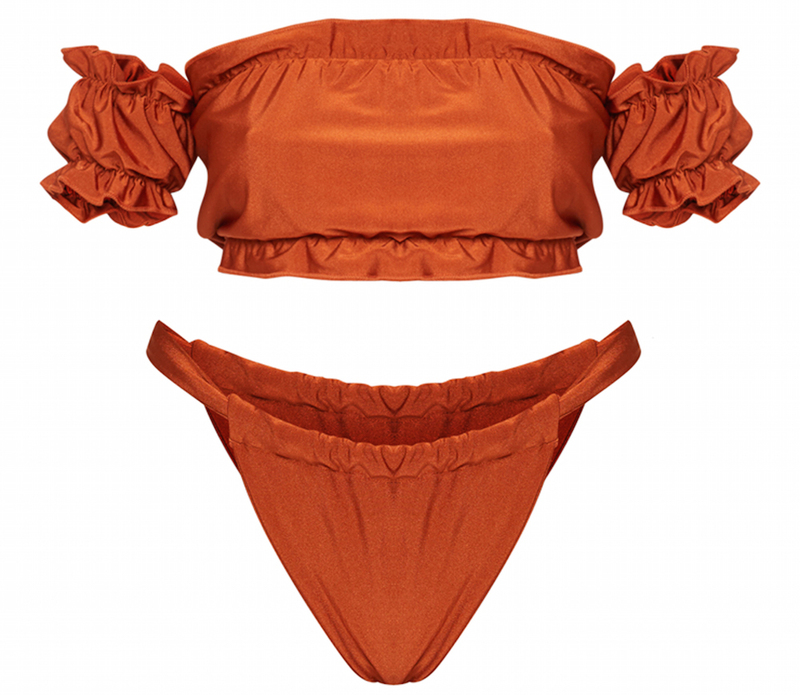 The Bardot neckline top has also been a big bikini hit – but don’t wear yours too many days in a row or you’ll end up with weird tan lines on your arms.